When you enter artworks artwork component you enter the stock level and, where relevant, the amount you paid for the artwork. The Purchase Report allows you to report on amounts spent purchasing artworks. The Stock Manager Screen is where purchase price details can be added. Use the Stock button to display all stock entered for the current artwork. 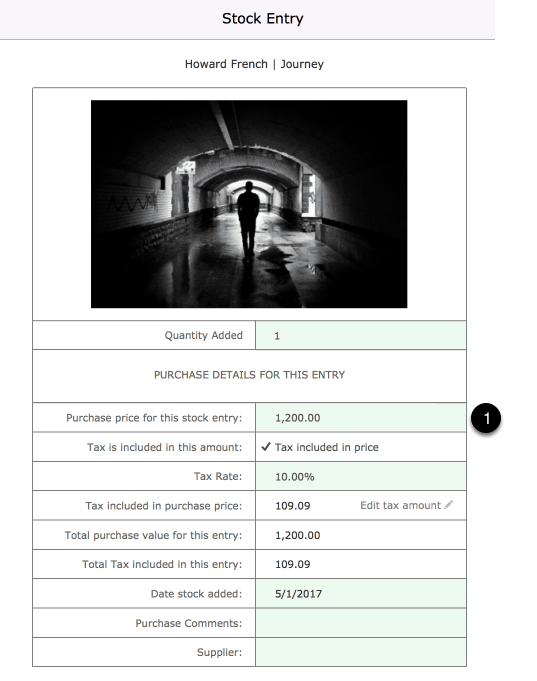 Use the Edit button to edit the stock entry purchase pricing details. Enter the Purchase Price for theis artwork along with any relevant tax rates and amounts. 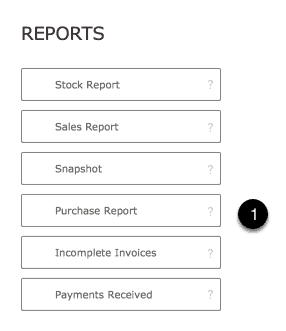 Access the Purchase Report from the Home Screen. Control what artworks are displayed by entering a date range into the date filter. Select individual items for the option to return to the artwork to edit stock details.